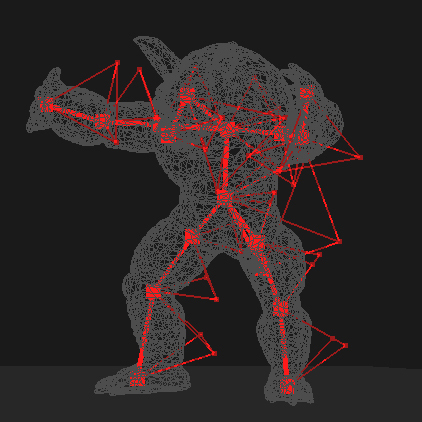 We proposed a 3d model deformation technique, which is based on rigging by building the skeleton of the model by user. 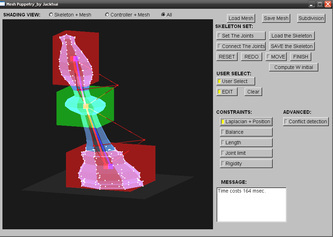 The approach not only preserves the shape details, but also derives more natural deformation by adding several high-level constraints for more natural results of mesh deformation. 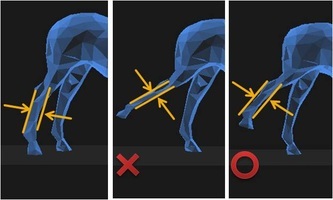 The above constraints include preserving the length of bones, limitation of joint angle, and rigidity. 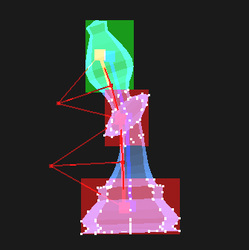 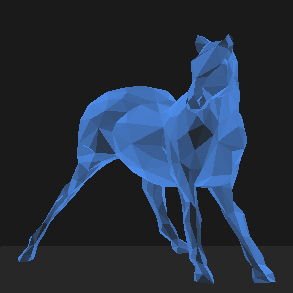 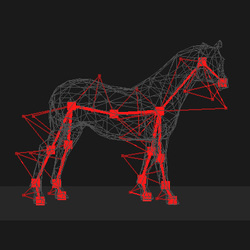 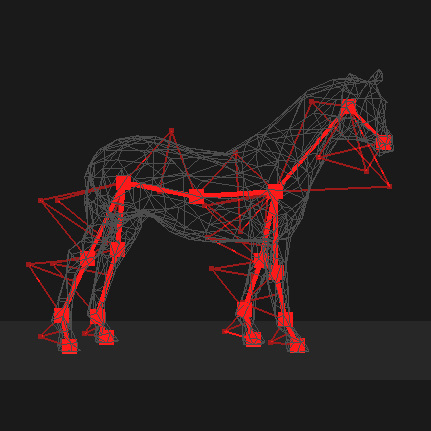 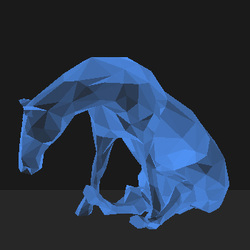 Users can modify the pose of a model by direct manipulation on skeleton, and get the realistic deformed mesh. 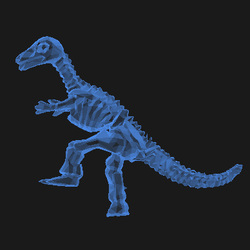 We optimize a given energy function according to the position and weight of skeletons. 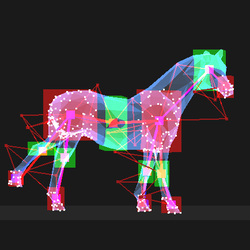 Our results show the following advantages: convenience of manipulation on rigging and deformation, high-level constraints and more natural and realistic deformed mesh. Our research is inspired by a research paper done by Kun Zhou et al. 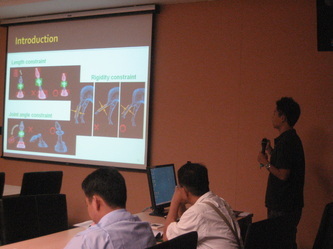 in Microsoft Research Asia.